As part of utilising the popularity of the Tiago hatchback, Tata Motors launched a more rugged NRG variant in September 2018. The homegrown automaker is not a stranger in trying something new while expanding a particular model’s portfolio. For instance, the JTP performance variants of the Tiago and Tigor are sold at highly luring price tags and it brought rumours that the JTP wing could be stretched further down the line. It could be a similar case for the NRG badge as Tata might consider launching more off-road focussed versions of the regular models using the moniker. Just as last year, Tata has lined up a slew of new launches for 2019 and it all began with the Harrier. The Altroz will follow it in the second half of this year while the seven-seater Harrier is also slated to debut in late 2019. Tata showcased the production-spec seven-seat Harrier known as Buzzard for international markets at the 2019 Geneva Motor Show and it could be christened the Cassini upon arrival in India. 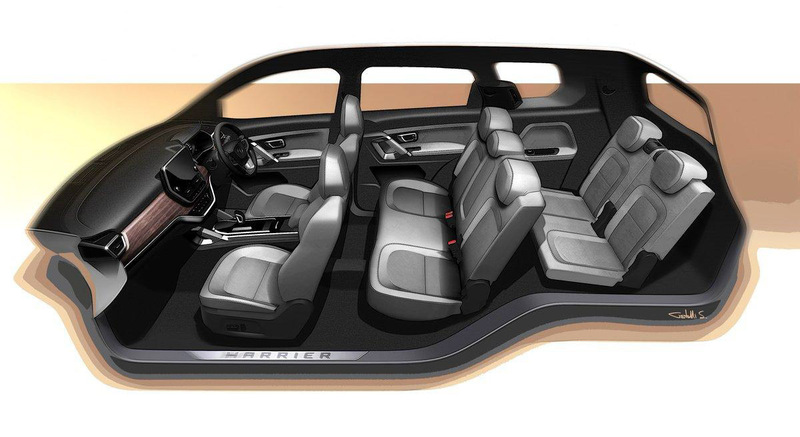 The regular five-seat Harrier based on the OMEGA platform derived from Land Rover’s D8 already competes against Jeep Compass and Mahindra XUV500. The Cassini will go one better and since it can accommodate seven occupants, it will be more practical than the Harrier. But what if Tata decides to give an NRG treatment to the Cassini? 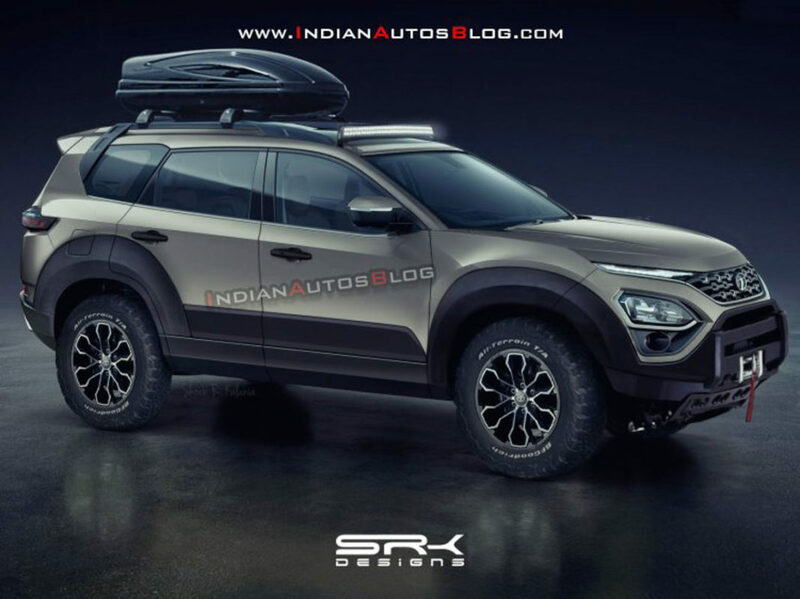 It may look like this rendering with an aggressive exterior comprising of prominent skid plate, rugged black cladding, more muscular wheel arches, chunky off-road tyres, tow hook, blackened tail lamps and new roof rails. The premium SUV measures 4,661 mm in length, 1,894 mm in width and stands 1,786 mm in height with a wheelbase of 2,741 mm. Despite having the same wheelbase as the Harrier, the Cassini is 63 mm longer and 80 mm taller than its five-seat sibling. It will be powered by the same 2.0-litre Kryotec four-cylinder diesel engine from the Harrier with more power and torque. It produces 170 PS and 350 Nm and is mated to a six-speed manual transmission or a six-speed torque converter automatic unit sourced from Hyundai. 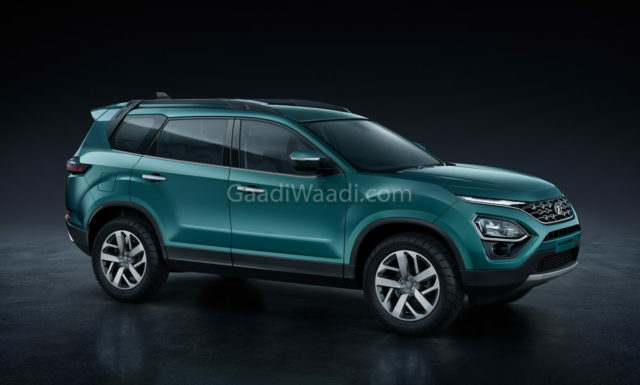 We expect Tata to offer four-wheel-drive option with the Cassini.